Two Canadian translators — Anne McLean and Alison L. Strayer — are also shortlisted for the £50,000 ($87,180 Cdn) prize. The Man Booker International Prize, a £50,000 ($87,180 Cdn) award that celebrates works of translated fiction from around the world, has unveiled the six books that comprise its 2019 shortlist. 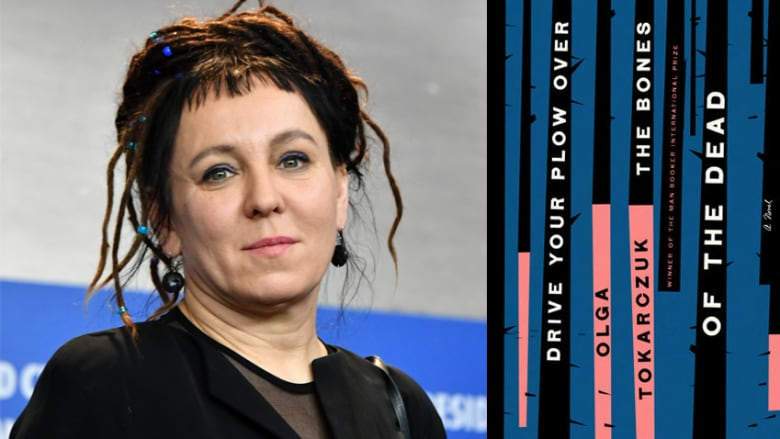 Polish literary star Olga Tokarczuk is a finalist for her novel Drive Your Plow Over the Bones of the Dead, a dark murder mystery translated by Antonia Lloyd-Jones. In 2018, Tokarczuk became the first Polish writer to win the Man Booker International Prize when she won for Flights translated by Jennifer Croft. Two Canadian translators are on the shortlist this year: Anne McLean for Colombian writer Juan Gabriel Vásquez's complex political conspiracy novel The Shape of Ruins and Alison L. Strayer for Annie Ernaux's award-winning French novel The Years. Jokha Alharthi, who was the first writer from the Arabian Gulf to be longlisted for this prize, has made the shortlist for Celestial Bodies, translated by Marilyn Booth. The novel is described as a coming-of-age story of the country Oman, told through the perspective of three sisters as they witness great waves of change. Chilean writer Alia Trabucco Zerán has made the shortlist for her debut novel The Remainder, translated by Sophie Hughes. The book tells the story of two young friends Felipe and Iquela, who live in the shadow of Chile's violent dictatorship. German author Marion Poschmann rounds out the shortlist with the book The Pine Islands, translated by Jen Calleja. The story begins when the protagonist awakes from a dream that his wife has had an affair and inexplicably heads to Japan to cope. The winner will be announced on May 21 in London. This year's jurors include historian Betty Hughes, translator Maureen Freely, philosopher Angie Hobbs, novelist Elnathan John and essayist Pankaj Mishra. The £50,000 ($87,180 Cdn) prize is shared equally between writers and translators.